View a gallery of images showing the process from natural grass to finished basket. 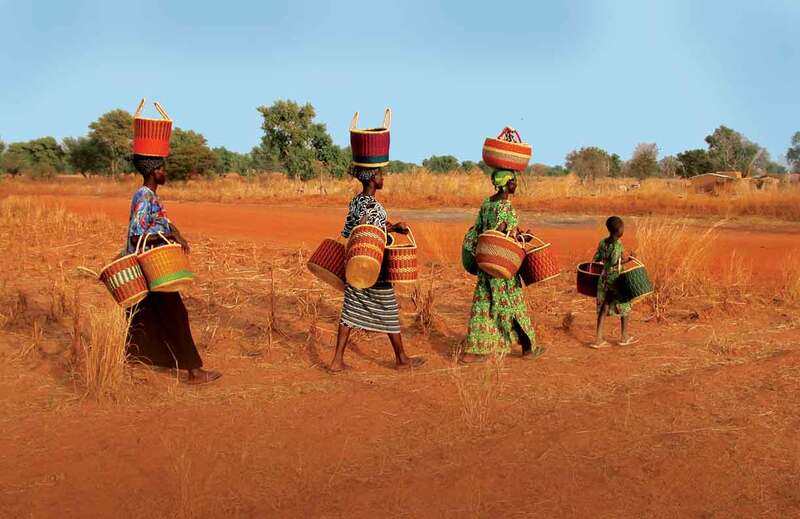 This gallery shows how the grass is transformed, colored and then woven into a basket. 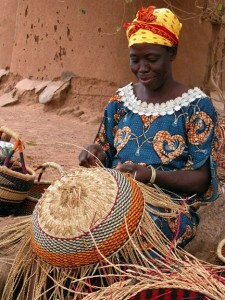 African Market Baskets™ donates 10% of its profits to Every Basket Helps™. 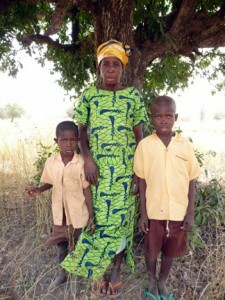 The money from this program helps with health care, school supplies and the building of the weaving center. 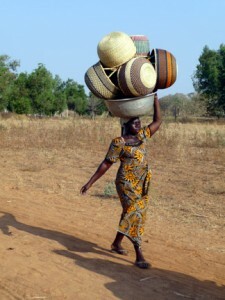 The baskets are transported to market in a number of ways. Many are taken by foot along the road; through rivers and fields. View a gallery that shows how baskets start their journey to the African Market Baskets™ warehouse in Boulder, CO.
All photographs in the galleries and on our site are copyright to African Market Baskets™ and may not be used without permission. For permission to use any of our images please contact us.